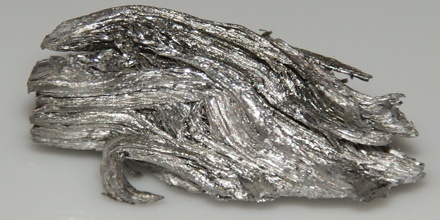 Rubidium is a soft, silvery-white metallic element of the alkali group. 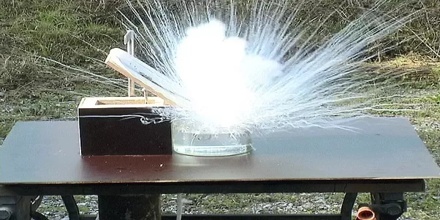 It ignites spontaneously in air and reacts violently with water. It is a chemical element of group 1 with the abbreviation Rb and atomic number 37. As a member of the alkali metals, rubidium has an oxidation state of +1. It’s a silvery-metallic metal that has an atomic mass of about 86 grams per mole. Its atomic number 37; atomic weight 85.47; melting point 38.89°C; boiling point 688°C; specific gravity (solid) 1.532; valence 1, 2, 3, 4. Rubidium is used in photoelectric cells, in making vacuum tubes, and in radiometric dating. Elemental rubidium is highly reactive, with properties similar to those of other alkali metals, including rapid oxidation in air. On Earth, natural rubidium comprises two isotopes: 72% is the stable isotope, 85Rb; 28% is the slightly radioactive 87Rb, with a half-life of 49 billion years, more than three times longer than the estimated age of the universe. In 1861, Robert Bunsen and Gustav Kirchhoff, of the University of Heidelberg, dissolved the ore in acid and then precipitated the potassium it contained which carried down another heavier alkali metal. By carefully washing this precipitate with boiling water they removed the more soluble potassium component and then confirmed that they really had a new element by examining the atomic spectrum of what remained. This showed two intense ruby red lines never seen before, indicating a new element, which they named after this colour. Ribidium is one of four elements discovered by spectroscopy. Spectroscopy is the process of analyzing the light produced when an element is heated. Every element produces a very specific series of colored lines called a spectrum. It is more abundant in Earth’s crust than caesium, the limited applications and the lack of a mineral rich in rubidium limits the production of rubidium compounds to 2 to 4 tonnes per year. Several methods are available for separating potassium, rubidium, and caesium. Rubidium is usually separated from lepidolite lithium processing. Rubidium is settled from mother solutions, after Li2CO3/LiOH isolation, as potassium, rubidium, or caesium alums Metal Al(SO4)2x12H2O. The mixture is resolved by fractional crystallization. In chemical properties, it is one of the most active elements. It catches fire when exposed to oxygen in the air. For that reason, it must be stored completely submerged in kerosene. Rubidium also reacts vigorously with water. It produces hydrogen gas which catches fire and bums. 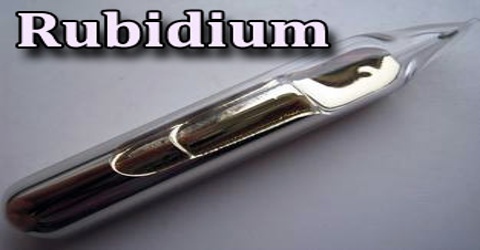 Rubidium combines violently with the halogens (fluorine, chlorine, bromine, and iodine). Rubidium actually occurs in the minerals pollucite, carnallite, leucite and lepidolite. 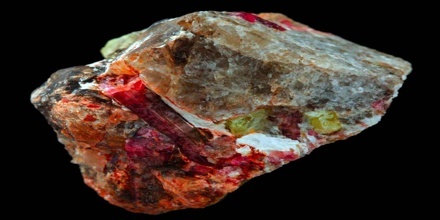 It is recovered commercially from lepidolite as a by-product of lithium extraction. Potassium minerals and brines also contain rubidium and are another commercial source. Rubidium compounds are sometimes used in fireworks to give them a purple color. It has also been considered for use in a thermoelectric generator using the magnetohydrodynamic principle, where rubidium ions are formed by heat at high temperature and passed through a magnetic field. Rubidium is also used to make photocells. A photocell is a device for converting light energy into electrical energy. But other members of the alkali family are still preferred for this application. Reference: encyclopedia.com, dictionary.com, rsc.org, wikipedia.